I have looked at this weeks 'Less is More' challenge and inspiration just wouldn't come......... until 2 o clock in the morning when I woke up and found myself humming the famous grouse advert tune! I don't even drink the stuff but I do like the ad. It had to be, well I know this is a pheasant but how often do you see them side by side..... could you tell the difference? I love this set of stamps. Stamps: Autumn Days, Bloomin' Marvelous. Inks: A selection of pens. A pearl for the eye. Its been lovely today, walking in the fresh air without fear of slipping! The knitting got finished yesterday and the sewing up, just buttons to put on. Hope they fit baby Charlie. The second picture is closer to the colour also I have just noticed that I have laid it out as a girls!.The button holes are I'm sure are done for a boy. The fair isle type pattern is in the wool! This second one is becoming a family favorite. Its all knitted in moss stitch. Then the little bears are added. They are attached inside the pockets on a string. The buttons are done with a hoop. I've sewn one on! That took almost as long as knitting a sleeve! Now I'm off to make a card to send with them. Haven't posted since Monday as I have been busy knitting for baby Charlie! Will show you tomorrow when they are all sewn up, the job I hate as I am not very good at it. 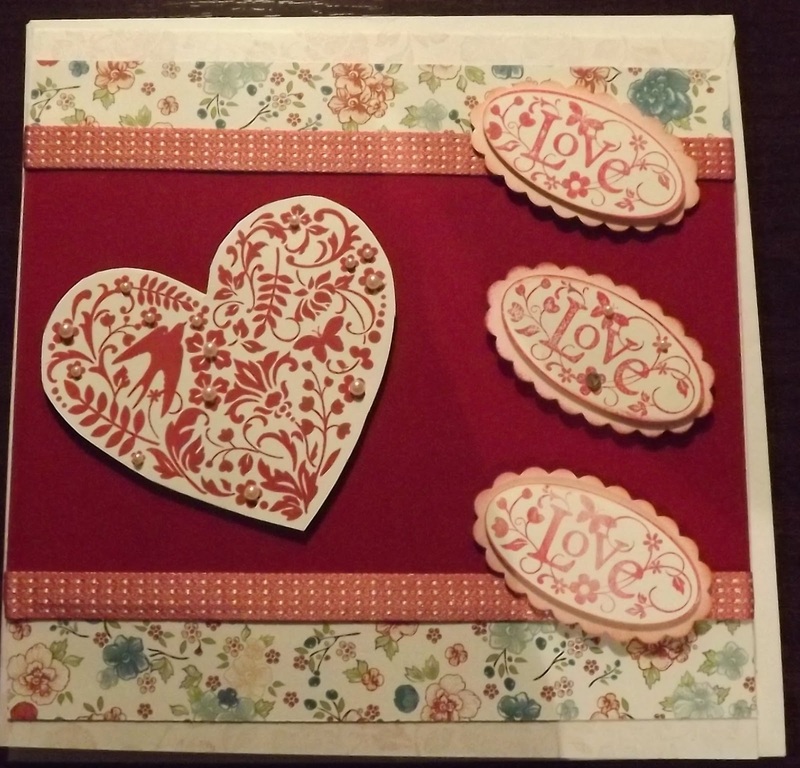 Back to Valentine cards as I have 2 classes at Newbank Garden center to make these. 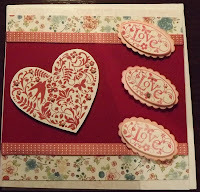 This one uses the More Amore speciality papers in the Spring catalogue that starts on Feb 1st. It really has some fabulous items that I am not going to be able to resist!!! The heart and the papers are from this DSP, all of which are lovely. The inside is also stamped. I think the message is clear, don't you. All for today. Thanks for looking. 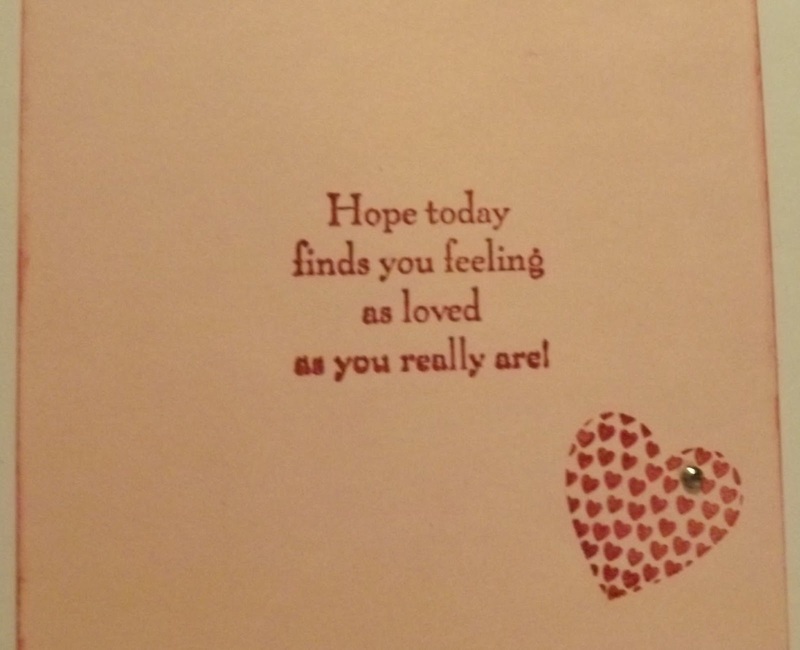 I thought I would have a change from Valentine cards. There is only so much pink and cherry cobbler you can take. I spent a while surfing the blogosphere, there is so much talent out there. 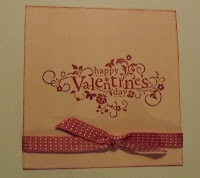 Anyway was inspired by http://cas-ualfridays.blogspot.co.uk and I have loads of this shape of card. The middle bumble has been re stamped, cut out, coloured, then coated with diamond glaze and added with dimensionals. 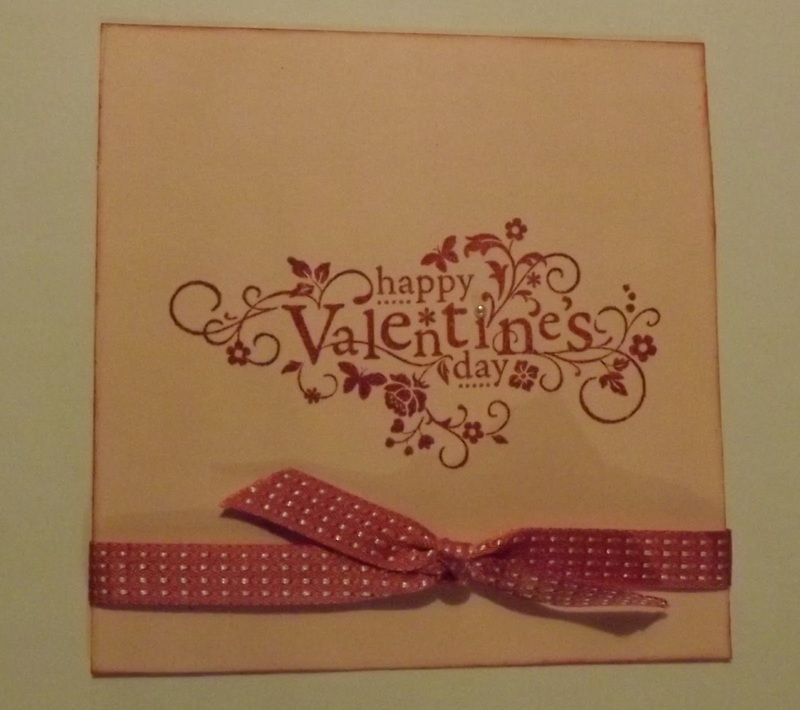 I set myself a challenge for the weekend to create 5 sample Valentine cards. Needless to say my hands are very pink! The card I created on Friday now has an insert. So now onto what I cut out in Cricut class. Although this was easy to put together I think it looks good. 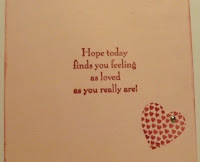 And the insert is the verse from the 'You are Loved' stamp set which is very beautiful. I will post more over the week. Card; Cherry Cobbler, Pink Pirouette. Congratulations to Caro and family on the birth of number 3. Sending all loads of hugs. Need to sew the buttons on the jacket then I will put it in the post. Still snowing here so it won't be today. A male birthday card, always the difficult one to make. Anyway I've had a go and plan to upload it to http://seizethebirthday.blogspot.co.uk we'll see if it works. It will be a first for me. I have recycled an old tax disc from the car. When we sold our last car I had about 8 years worth of tax disc's stashed one behind the other. Just knew they would come in useful! Stamp; Motorcycle, sentiment from Precious Butterflies. Here again and its snowing outside again. WHOOP WHOOP Means another full day crafting tomorrow. Have been to 'cricut' class today more about that tomorrow. So here is my first Valentine card, well it is less than a month away. 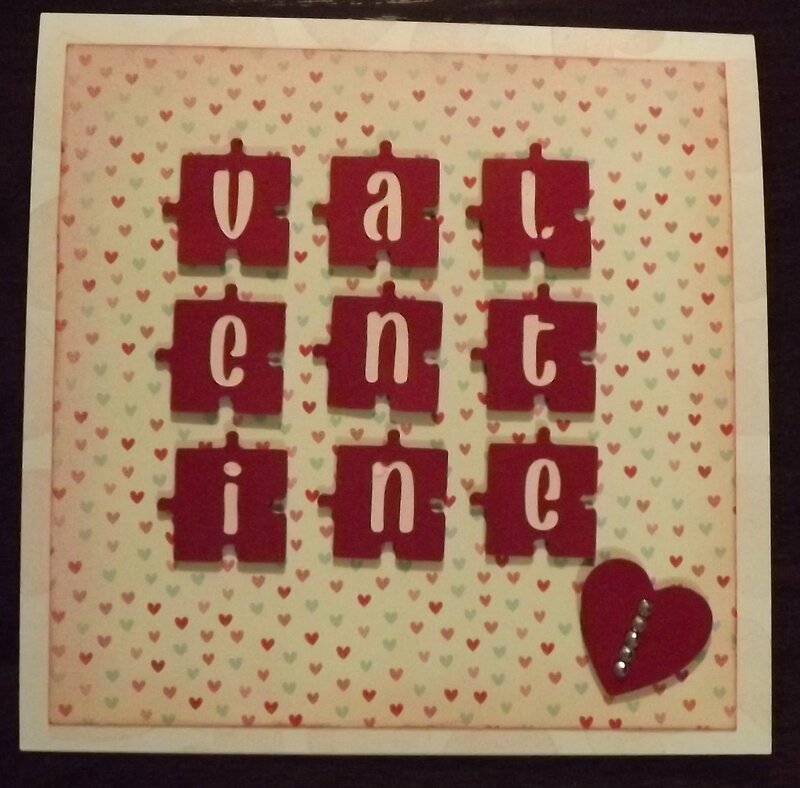 The card could be used to send to someone special for an anniversary or something else as it doesn't say valentine on it. Its just pretty. Other; Oval Punch, Oval Scallop. Basic Pearls, Rhinestone. Sale-A-Bration starts next week. Spend £45 and get a free stamp set. There are 17 items to choose from for your freebie. Get in touch if you want to order anything. I was birthday girl yesterday hence no blog. We went to see Les Mis last night. I really enjoyed it. Very intense and although the same as the stage show very different. I was worried that I would want to sing along but the film doesn't invite that sort of response. I recommend the film. 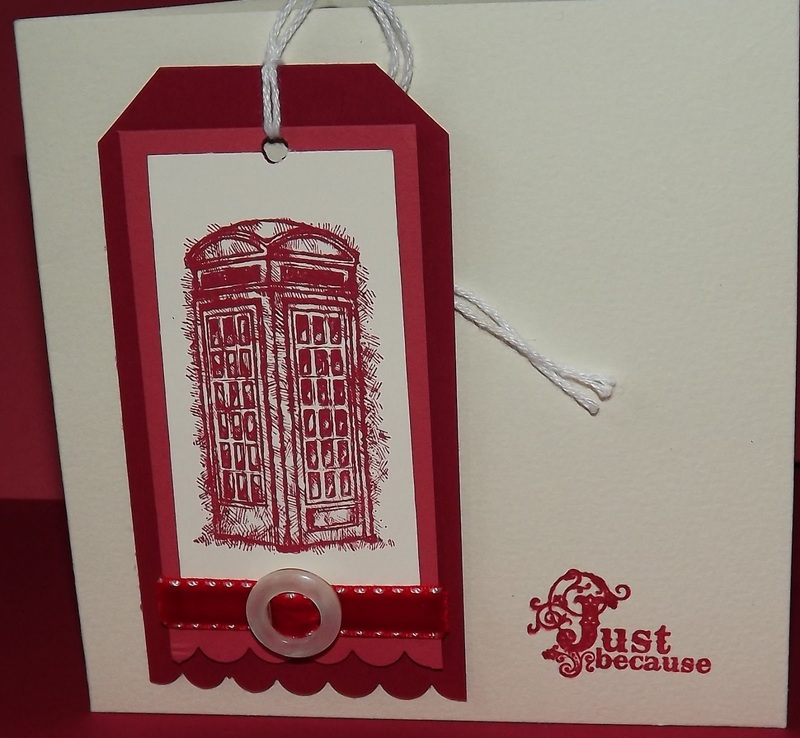 Another phone box card. I seem to remember these were a different colour in Hull. I am pleased with this one as the re cycled string, being hairy reflects the fuzzy edges, a feature of the stamps. You know what I mean....... I hope! The 'thanks' is also part of a Sale-A-Bration stamp set. I really like this one. 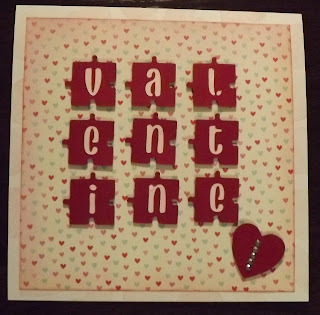 Make sure you stop by tomorrow my first Valentine card will be here. Had a crafting day today as snow has fallen all day, well, until about 2.30. Then the sun came out. My youngest son has sorted out the link from Facebook to this blog, I said I would find out how! Thanks Bob. Today's sample again uses the 'in colours' and Sale -a -bration stamps. 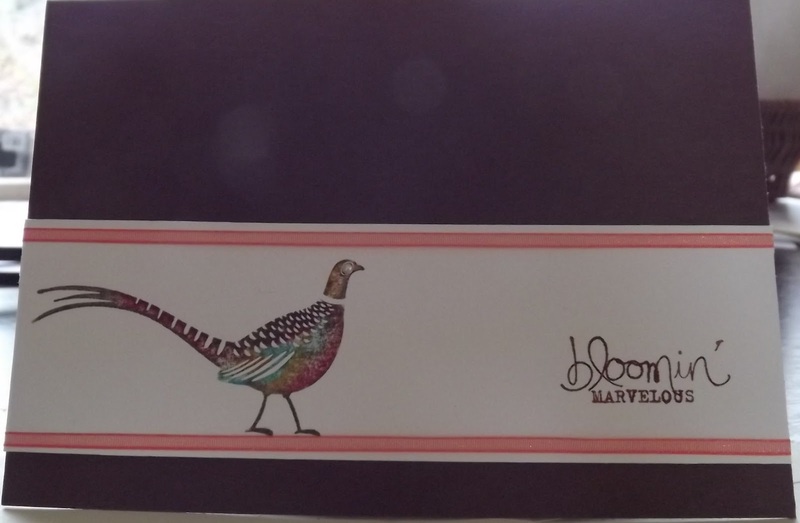 This time its the 'Bloomin Marvelous' set. I think they are great. Card; Very Vanilla, Gumball Green. The sentiments in this set are so easy to use. This one 'oh happy days' could be used for anything. The DSP in the chevron is also a versatile background. This time I have stamped the butterfly once in each of the colours then used crystal effects for the primrose petals one. Ink; Summer Starfruit, Gunball Green, Raspberry Ripple, Primrose petals and Midnight Muse. Other; Basic Pearls. Crystal Effects. Its dark outside but the snow hasn't arrived yet. Lets hope there is less than they say we are going to get. Anyway today I have 2 sets of cards! The card used is Crumb Cake and Chocolate Chip. The stamps from sale-a-bration. I used versamark and white embossing for this set. 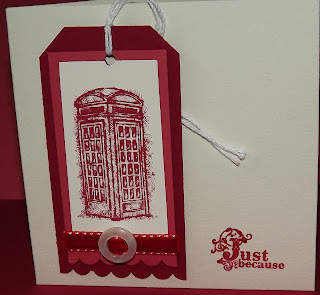 Its ages since I have done any embossing, I really enjoyed it. I made a second set using versamark and clear embossing powder. This set of stamps really lends itself to embossing. 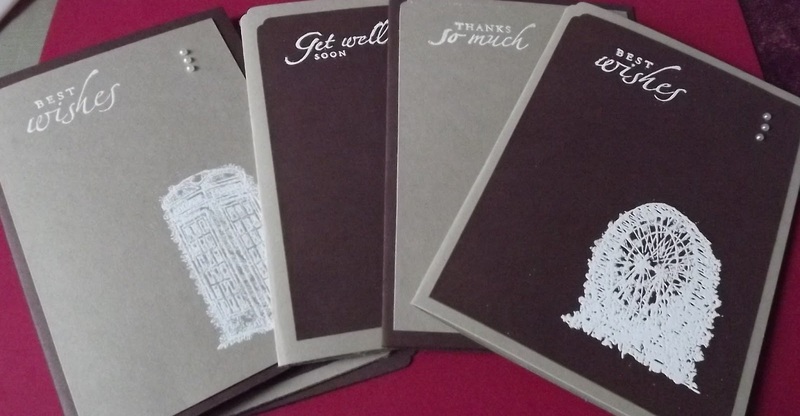 The cards are finished off with pearls and sentiments from the 'Sincere Salutations' set which are no longer available but there are lots of other really good sets of sentiment stamps. I have been so enthused with the stamps in sale-a-bration I haven't updated the blog. So here is the first one of the New Year. Using the current 'In colours' Raspberry Ripple as the tag and Primrose Petals for the layering. I have stamped with Raspberry Ripple. The ribbon and buckle button were in my stash. I love the 'just because' also from sale-a-bration it is so elegant. Only 10 days until you can order from Sale-a-bration. Get that wish list ready!